Stylish Poshmark Success Tips + An Invite! Happy Monday! 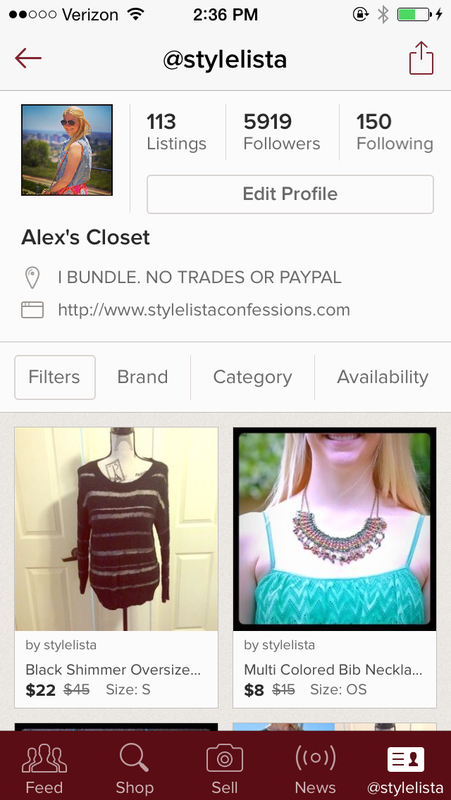 If you don't know by now, I am obsessed with Poshmark. It's the perfect outlet for a shopping obsessed gal as an easy tool to help purge her closet of things she doesn't wear anymore. All of my friends and family come to me for advice on selling their clothes and always ask how I am so successful and while I don't have one answer I will say it's with a lot of detail and hard work. Being a blogger, I tend to go shopping a lot more than most so I am always trying to clean my closet out to keep room for new items and Poshmark has let me earn some great cash on the side for the items I just don't see myself wearing any longer. While I love helping my friends and family sell their items, I thought it would be fun to share some tips on how I have been successful selling my clothing online, specifically on Poshmark. To date I have made over $1,000 thanks to this amazing app so if you aren't already on PM definitely sign up. Use HJBMF at sign up and earn a $5 credit!